Now you can get all our favorite products in one place! 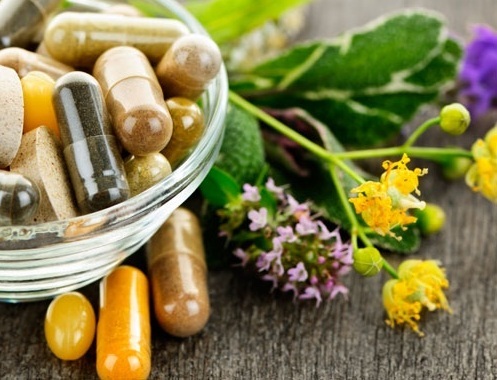 It’s important to us what you choose to put into your bodies and we’ve picked the best vitamins and supplements to help you on your way to better health! What easier way than to have it all in one place! Welcome to Wellevate, my online store! From here you can directly access recommended vitamins and supplements, set up automatic refills and receive other communications from me. Plus, shipping is FREE on orders of $49 or more! Juice Plus+ products are made from the juice powder concentrates and oils from more than 40 different fruits, vegetables and grains. While Juice Plus+ isn’t a substitute for eating fruits and vegetables, our whole food-based products support a healthy diet by offering a much wider variety of naturally occurring vitamins, along with antioxidants and phytonutrients found in fruits and vegetables. Have you been wanting to “green” your home with cleaner plant based products? Use essential oils as apart of your daily regimen? How about plant based skin care and beauty routine? Young Living offers all the above with their Thieves line that we use in our own home on a daily bases. We also love their Kidscents and Seedlings line for the kids and all their needs. Dr. Kim also loves the Savvy Minerals line for all makeup needs! We love using essential oils from diffusing it in our home, using it topically or ingesting it. It’s so great to know that Young Living has its Seed to Seal standards to provide clean high quality food grade oils! Click here to start your journey to cleaner living today!